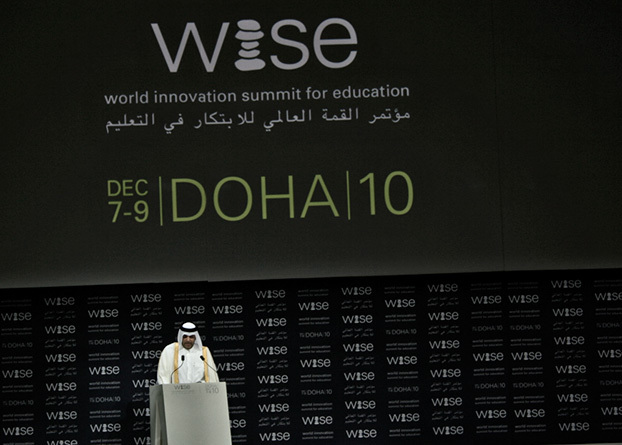 On December 7-9, the dean of the Faculty of Education and Management, professor Ilga Salīte participated in the second World Innovation Summit for Education (WISE 2010), which was held in Doha (Qatar). The international summit was initiated by WISE foundation in 2009 as a forum for meeting of experts from various fields, united by interest in the novel in education and its implementation in educational practice. This year 1200 participants attended the summit (eight of them from Latvia). The following issues were discussed during the summit: the need to improve education systems (December 7), selecting funding for education in the context of economic recovery (December 8) and creating educational environment that promotes development of innovation (December 9).